BJP candidates fared badly, but ended up making good money! According to party insiders, the BJP contestants pocketed this money instead of distributing among the party workers for poll campaigns. 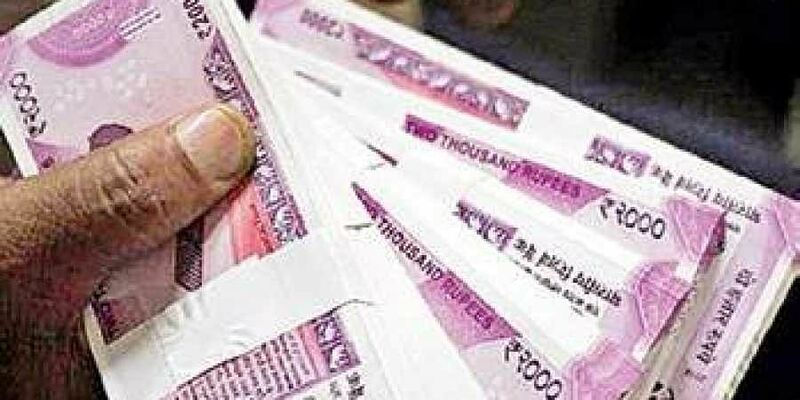 HYDERABAD: Despite the State unit of the BJP spending a huge amount of money, to be precise around Rs 42 crore, during the last December Assembly elections, the saffron party failed to recover even their deposits in over 100 constituencies. For the record, the party had contested in 118 of 119 constituencies. Though the party fared miserably, some of the contestants ended up earning 100 times the money, from the party, compared to what they spent in filing nominations. Several of these contestants had parachuted to BJP Telangana only weeks before the last day of filing nominations. Talking of performance in the elections, the party managed to win just 862 votes in Dornakal Assembly segment. In at least ten Assembly constituencies the party secured less than 1,500 votes. The election expenditure report, published by the Election Commission of India (ECI), held that the contestants were paid in “lump sum” of either Rs 10 lakh or Rs 15 lakh, depending on the contestant’s popularity. It is a point of discussion in the party circles that many candidates did not reach out to the party workers or voters in general. “Several candidates said that they will spend money to make the party popular, to conduct rallies and meetings. However, the candidates spent the money sparingly,” a party insider said adding that the party has taken note of such practices and the candidates. It may be noted that for contesting in an election, an affidavit is to be filed which costs Rs 10,000. As the party paid Rs 10 lakh or Rs 15 lakh, the contestants made 100 or 150 times more from the money given to them. In Wyra, the party got 1,025 votes. The scenario in Madhira was not as exciting as the party got just 1,085 votes. In Aswaraopeta the party got just 1,303 votes, while in Palair it polled just 1,170 votes. This goes to say that the party has splurged money without gaining any considerable vote share. Only around 14 lakh voters preferred to vote for BJP in the State, which accounts for a meagre seven per cent vote share. It is a known fact that the BJP ventured out on its own in the Assembly elections after several years. It was in alliance with TDP for the longest time in the region. The party seem to have come out of the election with nothing but a burnt purse as it spent `42 crore in total, Rs 23 crore of that was allotted to party workers and the contestants.